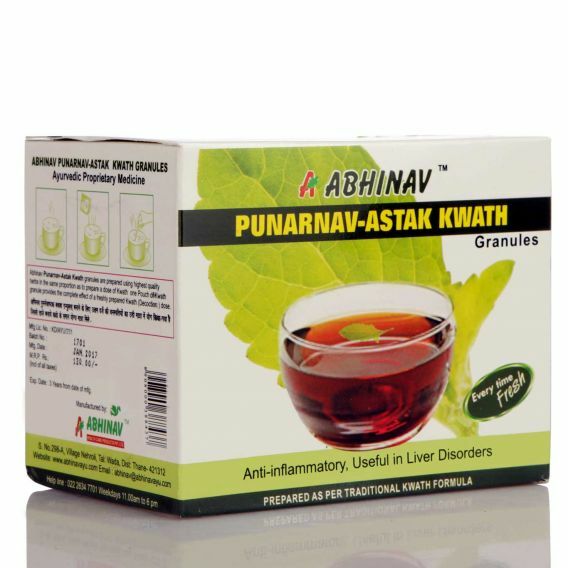 Punarnavastak Kwath is especially useful in treating vital body organs like Liver & Kidneys. It is a powerful combination of herbs which can be used against Renal failure & Hepatitis. Dosage: 1 pouch of 2 gm twice daily preferably on empty stomach. Available in a box pack containing 20 pouches of 2 gm each.